Happy Independence Day! 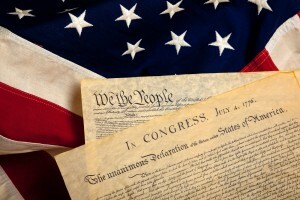 On this day we celebrate the adoption of the Declaration of Independence on July 4, 1776, and the 13 colonies that separated themselves from the rule of Great Britain to establish what we now know as the United States of America. This day will be filled with barbecues, family and friends getting together and many, many fireworks displays. And although all of these activities are fun, we certainly should not forget to reflect upon the true reason this day is such an important one in our nation’s history: freedom. And more specifically, July 4 represents the idea, pursuit and accomplishment of freedom. Our Founding Fathers had an idea that the 13 colonies now established in North America should be free to unite and govern themselves totally separate from the authority and reign of Great Britain. Many Americans fought and died for this idea of freedom, and the opportunities we all have in America today are credited to those who came before us who not only had this idea of freedom, but were bold enough to pursue it.